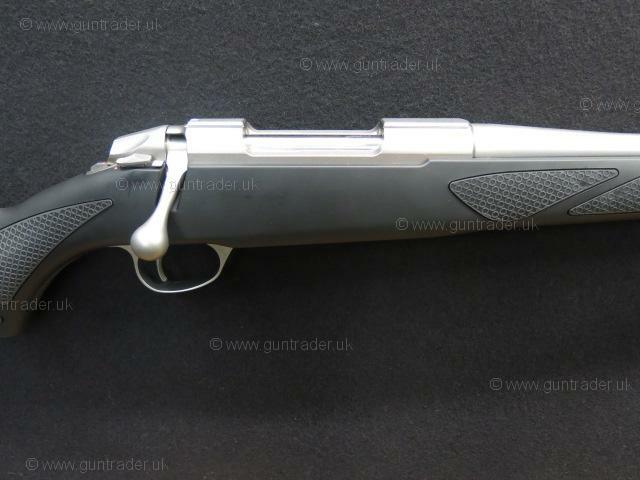 New Sako 85 M Synthetic Stainless bolt action rifle in .25-06 calibre. 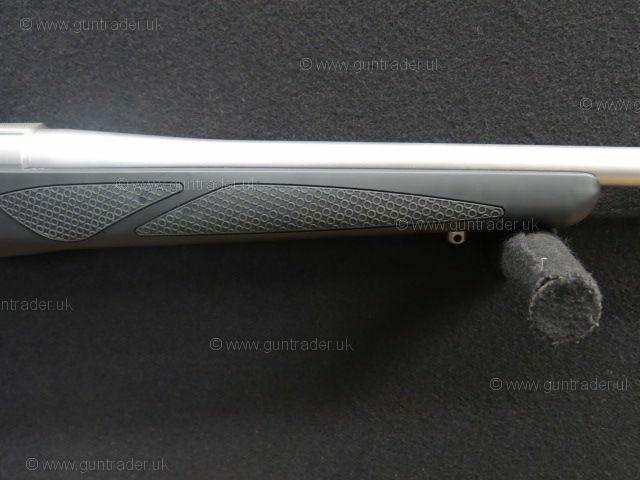 Tough polymer molded pistol grip stock that has been treated with the SoftTouch surface coating making for a more comfortable and secure handling experience of the rifle. 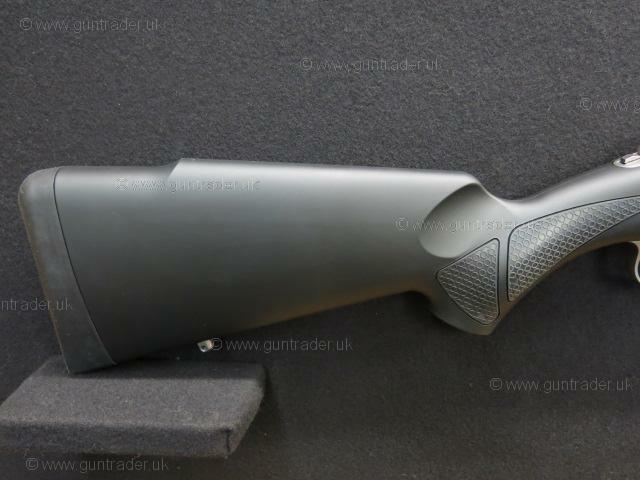 The stock has also been fitted with black rubber gripping surfaces again to aid in a more secure handling rifle, the stock has been finished off with a slim rubber factory recoil pad as standard. Fully free floating 20" stainless steel barrel and action which has been screw cut M14x1 ready for a sound moderator. 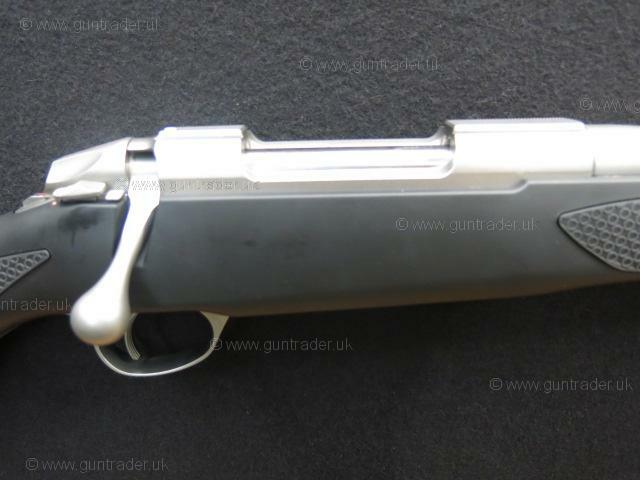 The rifle is fitted with a single stage adjustable trigger unit which can be changed for breaking points between 2-4lbs, detachable five shot dual stack magazine. 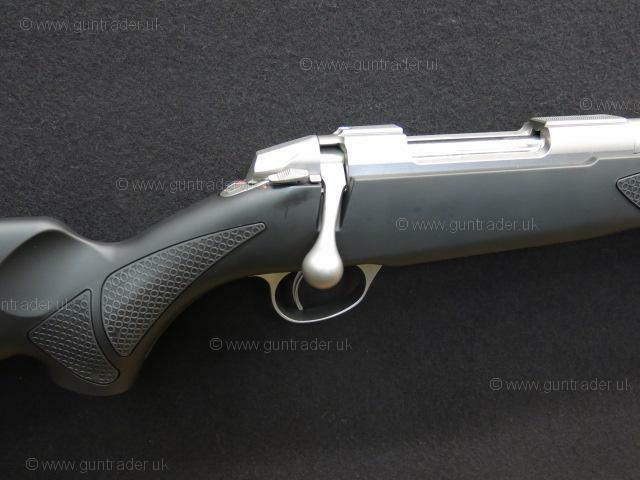 The special 2-way Sako safety locks both the trigger and the bolt handle. The unique bolt release button of the Sako safety system allows you to load or remove a round from the rifle with the safety engaged. Scope, scope mount and sound moderator discount packages can be put together for this rifle at extra cost. 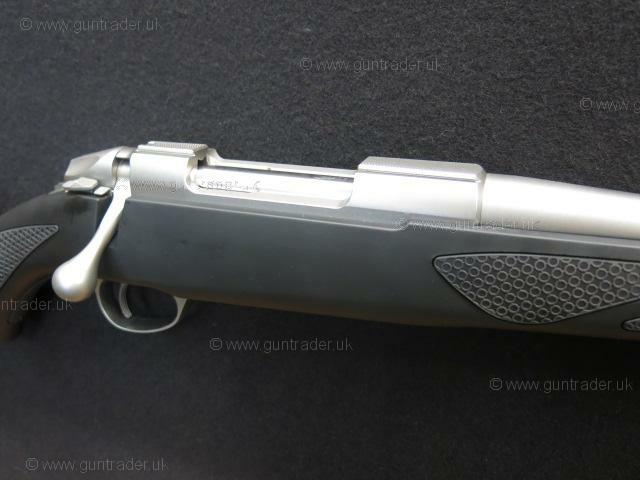 Scopes and sound moderators stocked from all the leading manufacturers please call for more information or visit www.Greenfieldguns.com. RRP £1950.00 part exchange welcome. Please ask about our friendly RFD to RFD transfer service if required. Boxed.